The Southern tip of the Americas continent is dominated by two of the richest Latin Americans countries, that’s Chile and Argentina. However, do not let the fact they are not super cheap destinations put you off! 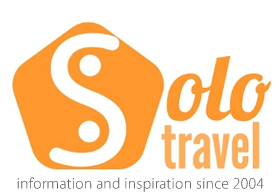 It is possible to travel on a budget in both countries and they are both well geared up for solo travelers! Chile, it’s a skinny country, sandwiched between the Andes and the Pacific, but because of this slim location it has so much to do right on it’s doorstep. Mountains, volcanoes, thermal pools, the great ocean. The southern end of the country is a maze of glaciers and fjords whereas the top is part of the driest desert on earth giving an amazing contrast to this land. The cheapest option is a youth hostel, there are some run by the YHA and other independents including, in the summer holidays, in the schools in the main towns. Campsites tend to overcharge slightly unless there is a group of you, or you can free camp at service stations and youth hostels. There is a group called Rutacentros, running free campsites with shower and toilet facilities. If you can afford a little more there are some good bed and breakfast type accommodation available, it’s still not deadly and you get a free meal. Bus is the public transport of choice and is on the whole very good. Some companies let you book online in advance and some will carry bikes although there is usually an extra charge for this. There are some train routes in the south of the country, these are moderately priced but reasonably quick moving. The general consensus is that hitching is pretty safe in Chile, but be aware, there are nutters in every corner of the world. Eating cheaply is simple, most things are based on filling stews. There is home grown Chilean fast food as well, which is outdoing some of the big multinationals due to the vastly superior quality. Definitely worth investing a dollar or two. Restaurants offer cheaper meals at lunch time so you might want to do the majority of your refuelling then, and cheap snacks and supplies can be had from markets in the cities. Home to revolutionaries, questionable footballers, the mountains of the Andes and stunning Patagonia, there’s also an amazing wine industry to wash down all the history and culture at the end of a hard days tourism. The wildlife includes storks, whales, penguins and dolphins, and there’s no shortage of places to see them, although there is a shortage of some mammals, which might be more difficult to spot. There are two youth hostel providers, Hostelling International Argentina or Red Argentina de Alojamiento para Jóvenes, and the Argentina Hostels Club. The network of hostels is growing all the time, you can contact either organisation for a list. Camping is allowed pretty much anywhere, if you do want the facilities on a site expect to pay around US$3 for you and your tent. If you want to wild camp it’s totally acceptable but if you go somewhere like Patagonia make sure you take a decent tent, it gets a bit windy. The train service in Argentina is pretty much non existent so you’ll have to use the bus network if you want to get around on cheap public transport, the express buses are worth the little extra they cost for the faster journey times. Food is relatively cheap in Argentina anyway, but bear in mind that ordering any extra side dishes pushes the price up considerably.